All Athletes and Coaches appear that are in the current group. 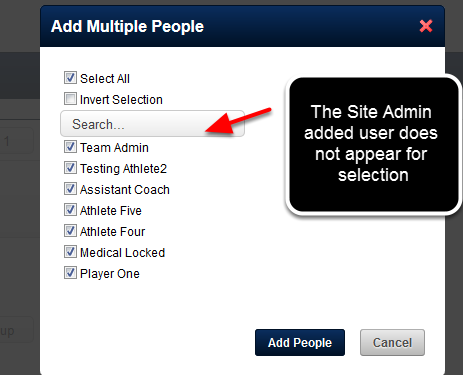 Add in a user using the "Add People" button, the "Copy from Group", or the Add Multiple People"
#1: Type in the name of the users into the text box and when their name appears click on "Add athlete"
Even though there are 70 people in this system, this Coach Admin can ONLY access and add in the users that they have been given access to as a Coach Admin. None of the other users will appear. 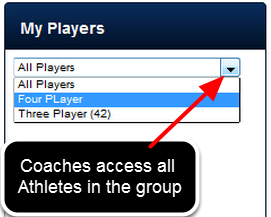 The Coach of a Group can access all Athletes in that group, but they can only access data that they have been assigned access to via the Roles. Remember that the specific data that each coach accesses depends on the set of Roles each coach has. 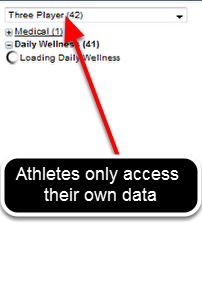 An athlete can only access their own data when they login. Remember that the specific data that each athlete accesses also depends on the set of Roles they have. 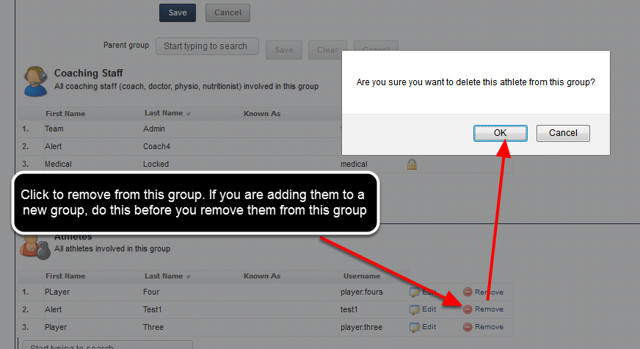 You can remove an athlete or a Coach from a Group by clicking "Remove"
N.B. This will simply remove this user from the group, it will NOT delete them from the system. WARNING: Once a user is removed from this group you may not be able to add them back into another group because you no longer have access to this individual. 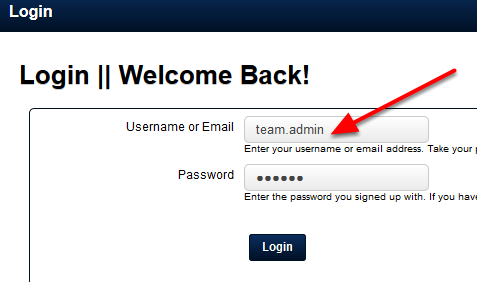 If you want to change users BETWEEN groups that you administer, add them into the correct group BEFORE removing them from existing ones. A new user has been added to the system by a normal Site Administrator. 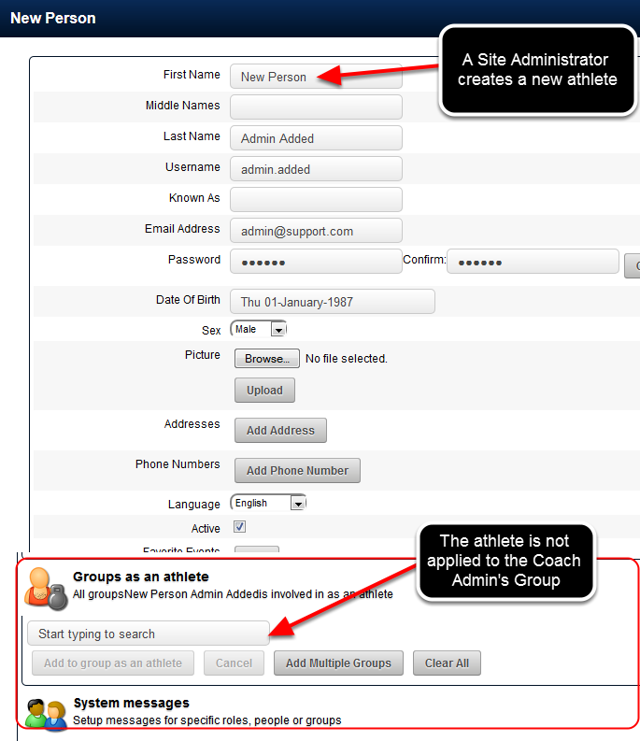 The Coach Admin will NOT be able to access this user, or this users details unless they are added to a group that they are an administrator of. 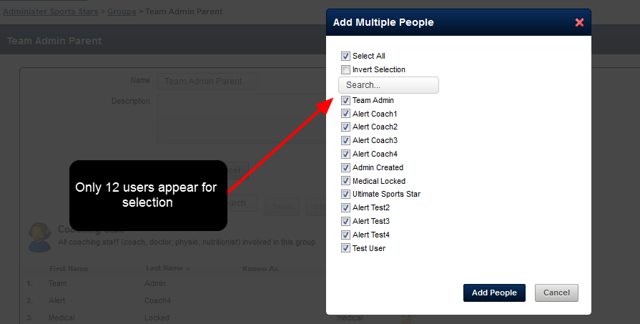 In the example here the athlete is not added to any groups, so the Coach Admin cannot see their details. 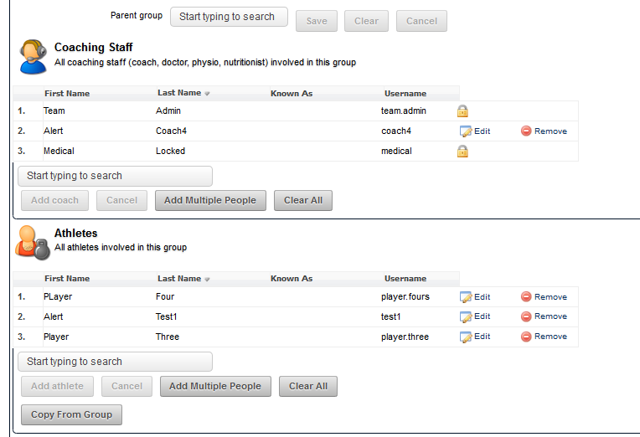 However, this users can be added to any of the Groups that the Coach Admin administers, and any Roles they administer as well.